May 1, 2018 – Allentown, PA – Harbortouch, a leading national provider of point-of-sale (POS) and payment processing solutions, today unveiled Checkout, a feature-rich and easy-to-use retail POS system. Harbortouch Checkout delivers a robust feature set with an intuitive and user-friendly interface, operating on Harbortouch’s powerful Elite POS hardware. The entire package, including hardware, software, installation and training, is offered as part of Harbortouch’s unparalleled “free POS program,” which provides all of this and more with no upfront costs. “While our existing retail software is excellent for large-scale retail operations, it can be intimidating for owners of small to medium sized retail businesses. Checkout is the perfect solution for independent and small chain retail stores, providing advanced functionality in an easy-to-use package. It really hits the sweet spot for most retail businesses,” says Isaacman. Harbortouch also offers industry-specific software suites for sit-down restaurants and bars, quick service and delivery restaurants, salons and spas, and advanced retail businesses. For more information about Harbortouch, please visit www.harbortouch.com. Harbortouch, a Shift4 Payments company, is a leading business technology provider and pioneer of the POS-as-a-Service business model, having served over 400,000 merchants in nearly 20 years of business and currently processing more than $17 billion annually. The company offers a revolutionary free equipment program that delivers best-in-class POS systems with no up-front costs, including state-of-the-art hardware, premium software, custom programming, professional installation, onsite training and 24/7 support. 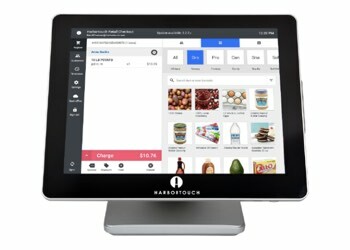 A six-time Inc. 500/5000 honoree and recipient of numerous industry awards, Harbortouch has been widely recognized for its innovative and disruptive POS and payment solutions. For more information, visit www.harbortouch.com.